Reverend Nakano, Donna Sato and I attended the 45th Federation of Buddhist Women’s Association Conference in beautiful Visalia in Central California. It was an inspiring conference with about 250 women and men from as far away as New York, Portland, Oregon and British Columbia. Retired Rinban Bob Oshita gave a moving talk that had us in tears, Bishop Umezu made personal revelations and a panel of women gave us different perspectives of how to make the Buddhist Women’s Association more relevant to younger generations. There was a lot of discussion about the World Federation of Buddhist Women’s Association Confer-ence in San Francisco in August 2019. The committee has been hard at work for almost 8 years planning to make this a memorable conference. 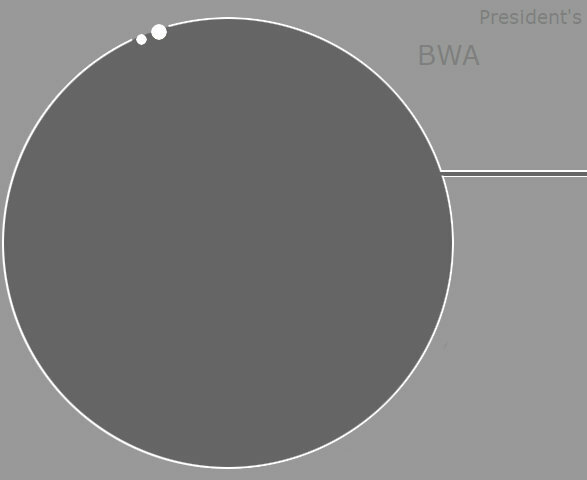 The BCA and BWA host this conference just once every 20 years. They are expecting between 1600 to 2500 participants from Japan, South America, Canada, Hawaii and the USA. I am excited about attending and I hope many in the SLOBWA will plan to attend. I would like to have some fundraisers to help offset some of the registration and hotel costs for those who attend. SLOBWA sends its condolences to the family of Shig Henmi who was a vital part of SLOBC for many, many years. He will be sorely missed by all who knew him. I returned from the Federation of Buddhist Women’s Association (FBWA) conference in Visalia, CA. Sandy Hongo, Reverend Nakano and I were in attendance. Since this was my first time attending a FBWA Conference, it opened my eyes to many things. All the BWA women expressed the same concern, “How can we get young people involved?” At this moment there is no answer. There was a panel of young people and one panelist mentioned that for her, Fujinkai and they are the pillars of the church. She remembers that all Fujinkai did is cook and clean the kitchen. The young adults nowdays want more than just cook-ing and cleaning. These young adults are looking for “High Texts,” being more into computers and putting everything online. We need to reach out to our young Buddhist women to make it work for the 22nd Century. How we plan to do this is to look outside the box. For me, to look outside the box is difficult to do…..yes, the younger generation is more advanced with their iPhones, laptops and credit cards than I am. But we need to ask ourselves, “How can we meld the 22nd century with the old times?” This is a difficult question to answer. Let me know if you have a suggestion on this issue. The weather in Visalia was very HOT; it was like 75 degrees at 8 PM when I checked the weather on my iPhone. WOW! At home it would be 75 around 1 in the afternoon and the low would be 50. It was a good conference but I’m glad to be home. Sad News: Our dear church member, Shigeo Henmi has joined his wife, Nobuko (Nobu). Shig passed away peacefully on Wednesday night, Sept. 19. He resided at Bella Vista Rehab & Care Facility for two years. He served our church as Treasurer and Ministerial Treasurer for over 30 years. We will miss him. Our deepest condolences to his family. I remember Shig Henmi saying to me “Donna, you are doing this for our church. Keep this church going for as long as your mind and body can endure.” It takes manpower and time to keep up our beautiful church. You can help by just making a simple phone call or email to our church and someone will get in touch with you. With all the help we can get from volun-teer members, the church will continue on into the 22nd Century.